The largest newspaper in Finland pays attention to a newly published report (in Finnish) by Historians without borders in Finland on how colonialism is regarded in the subject matter of university courses. It also studies how minorities and people with diverse historical backgrounds, who might or might not share milestones in Finnish history, are included in history teaching in schools. 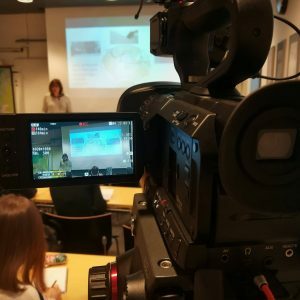 Results show that there is still a lot of work to be done in both how colonialism and its legacy is being taught at university level and in the way schoolbooks could include the increasing multicultural backgrounds of today’s Finns. The report committee was led by Holger Weiss and GHL is also mentioned in the report as one of several platforms where these issues can be discussed and influenced towards the better. 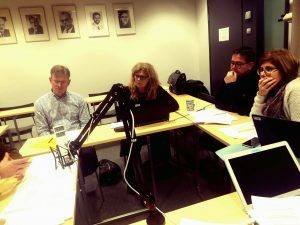 In this podcast we revisit our meeting in Falun last May, where we discussed Karl Schlögel’s “In Space We Read Time”. The translation of the original, “Im Raume lesen wir die Zeit” published in 2003, has been highly anticipated. Hope you enjoy our discussion and thoughts on it!